Bundles of neem twigs for sale near Manek Chowk in the Old City. 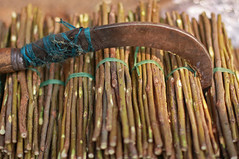 Neem twigs are commonly used for cleaning ones teeth – the pre-cursor to the contemporary toothbrush. 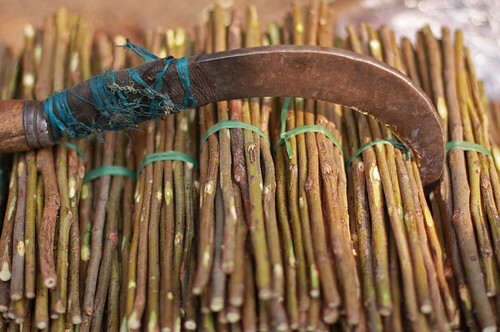 The fibres exposed by crushing the end of the twig are used to brush in a similar way to prevent tooth decay and gum disease, while the astringent juice which is released acts as a mouth freshner.